Dr Arete Kouteris [MBBS, FRACGP, DRANZCOG] graduated from the University of Melbourne with a medical degree in 1991. She has been in general practice for over 20 years. 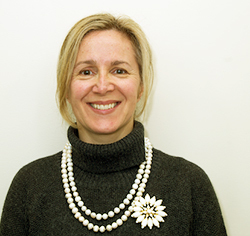 Dr Kouteris also holds a degree in naturopathy and a post-graduate diploma in medical acupuncture. Her main focus is whole person medicine, tailoring patient care to suit the individual. Her experience is mostly in women’s and children’s health, men’s health and chronic medical diseases with a passion for laser medical acupuncture which she has performed for over 13 years. She enjoys reading and spending time with family and friends. She has lived in the Brunswick area for over 10 years and her three young sons attend local schools and activities.